The time has come: ‘All-round digitalization’ also applies for pump technology on the construction site. The manufacturer Tsurumi presented a smart controller solution at the Bauma 2019 in Germany this month, that does not only integrate water pumps electronically into a project. A real innovation that makes operations as efficient as possible. Casing, motors, impellers: The time when components like these were solely responsible for dewatering appears to be over. 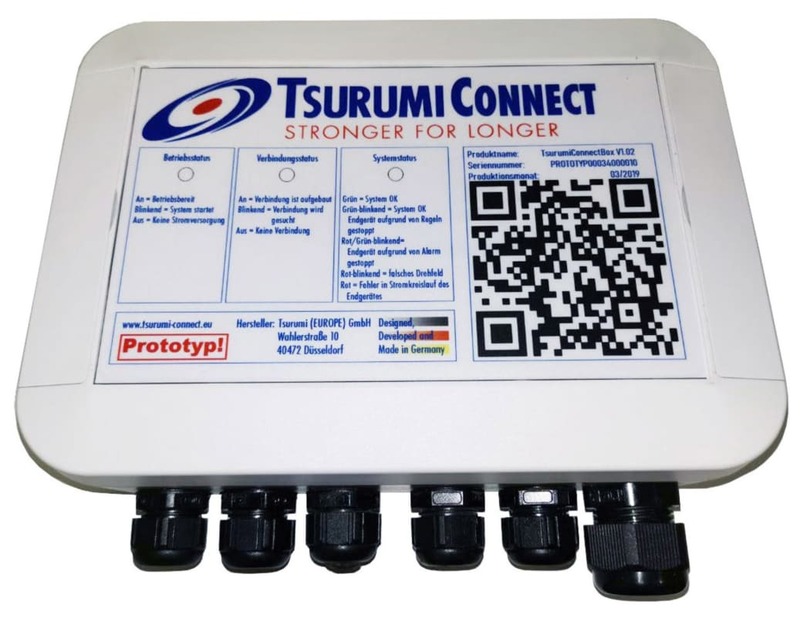 ‘Tsurumi Connect’ is a multifunctional solution by the market leader that marks the start of a new era. “This is the first time that the system is being presented to the public,” announces managing director Daniel Weippert. The experts from Düsseldorf used the exhibition to demonstrate how pumps can be integrated into the networked construction world or ‘Industry 4.0’. This is an IT networking term coined by the federal government. Tsurumi makes it simple: A small hardware box is connected to the pump via the motor protection plug or a control cabinet. It records and analyses the rated flows, controls the aggregate automatically on request and also prevents wrong direction of rotation or over-current. The box is connected to the Tsurumi Connect Cloud via mobile telephone, WiFi or LAN, either permanently, for special situations or as a result of an alarm. In case the connection fails, the box is able to record data in an offline mode for 30 days. "It records and analyses the rated flows, controls the aggregate automatically on request and also prevents wrong direction of rotation or over-current"
Really good: The system is not a proprietary manufacturer solution, which means devices from other suppliers can be connected. “Tsurumi Connect is able to monitor and control any electrical consumer,” emphasises Weippert. This is future-proof. It is even possible for the data of various sensors to be recorded, analysed and taken into account by the control logic. Operate special solutions like cascades and boosters? Drive customer-specific processes? Everything is feasible. “Configuration is incredibly easy,” say the developers Stefan Himmelsbach and Andre Conraths. Even complex applications can be realised. Also, finished programs have been filed and other adapted programs are available on request. Anything that is useful for the construction management on site is also interesting for the accountants in the headquarters: Invoices can be generated at the push of a button, maintenance intervals can be planned precisely and failure costs reduced to a minimum. The project started last year. There are plans to conclude the field test with 70 devices at the end of the year. Deliveries of the system, which was developed and produced in line with German standards, will start at the beginning of 2020. It also offers real ‘plug & play’. The customer does not even need a separate SIM card.